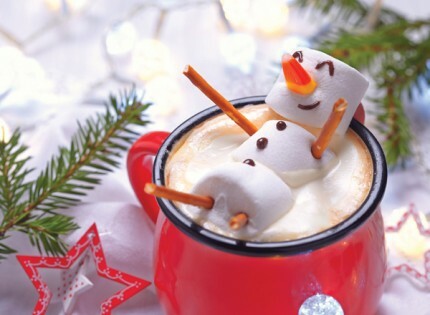 A humourous image featuring a marsh mellow snowman relaxing in a steaming cup of hot chocolate. Melted Snowman are gloss finished personalised Christmas cards (CN0203). They are perfect for corporate, business, company or personal use. CN0203 is a suitable choice for small to large companies. The Melted Snowman design is printed onto a premium board and is maufactured in the UK by Christmas-Connections.